Dr Pieter van den Bergh (BChd Pret.) is your friendly family dentist. 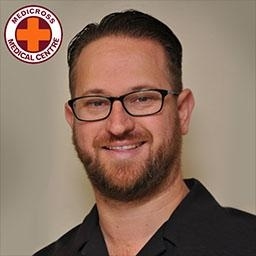 He finished his studies in 2003 and has been in private practice in Midrand since 2004. He is very passionate about dentistry and cares tremendously about the oral health and wellness of his patients. He loves to do esthetic treatment and offers patients a wide variety of options. Dr Pieter is married to his wife Carli Van den Bergh and they have 3 children, Markus , Leah and Hanroux. He enjoys golf, and his hobbies include painting, drawing, model building and electronics. Very excellent doctor!!! I was very impressed with his mannerism & his professional attitude! Very good dentist! Brilliant Dentist! Extremely friendly, Sympathetic & Comforting. Lovely man, lovely manner.